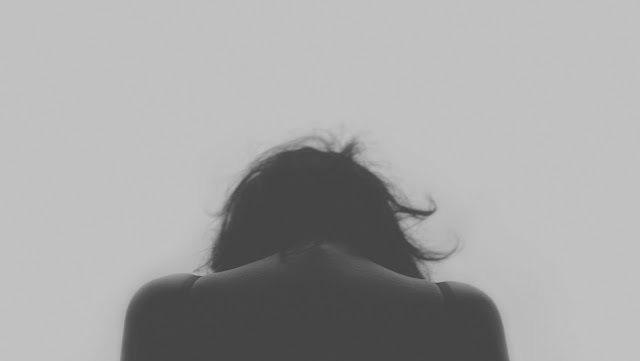 Becx Blogs: Living with Depression. Some of you might have noticed I haven't been blogging as much as I used to. It's partly because I'm spending a lot of my energy on general life and when it comes to doing things I enjoy and my hobbies, I have no energy left. Some of it is down to struggling with depression, which I've been attending therapy for. Last night, when my brain was spiralling as I was trying to fall asleep, this idea came to me and I wanted to write it while it was fresh in my mind. So, here I am, at 2am, telling you how depression feels for me, in the hopes that more people can understand it. Trigger Warning - if you struggle with depression, self-harm, or suicide, this may be triggering. My depression comes and goes. Sometimes I feel normal, and like I can do my normal day to day stuff. But, sometimes I feel so low, that I almost call in sick at life, not just work. Thinking about how life isn't going as I planned. I'm not achieving as much as I'd hope. Comparing my achievements to others around me, or on social media. Feeling sad and upset most days. Feeling tearful or crying most days. Little things make me more upset because I'm already feeling sad. When I start to feel sad like this, my mind spirals even more. It doesn't help that I also have anxiety and I'm a chronic worrier so that makes things even worse for me. My brain almost goes into overdrive, and I start to notice little things that then become HUGE things, and overexaggerated by my mind. Can't sleep at night and struggle with insomnia. Can't get up on a morning because I'm physically and mentally exhausted. Little things like washing and moving become huge hurdles to get over. So, I end up doing nothing and get bored. I feel lonely because I don't get out as much. I feel like I have no friends because I haven't spoken to humans in so long (just my dogs). So, because I'm bored and lonely. It means my mind has more time to play with my emotions. Of course, this means things get even worse for me. I start to be self-critical because depression makes you blame yourself for everything. It must be me? There must be something wrong with me, right? Once you get so low, it's hard to get back up. Every little thing you do feels like so much effort that it's easier to just... not do it? It's easier to avoid the depressed feelings than it is to get out of bed. I've been attending a Behaviour Activation course with Cognitive Behavioural Therapy for over a month now. I can see where I spiral and I'm working hard to replace my behaviours that encourage my depression to fester with more positive ones that will reinforce more helpful behaviours. It's still hard. It's still a struggle to deal with day to day. All while this is happening, no one notices. No one sees my struggle unless I tell them, because online I post happy, positive photos. If people ask how I am, I say "I'm fine" and crack out a smile. I'm writing this mainly as a form of therapy for myself, to get all my emotions out. But, also to show people that it doesn't matter how happy or together you look, you never know what someone is struggling with behind closed doors. More people struggle with poor mental health than you realise. If you resonate with this post, or know someone who does - here's some helplines. Please, reach out. If you are in a crisis and you are in danger call 999. I know the feeling with each and every sentence used here, Becca. 2015 was rough on my end and all the trigger points hit home when reading this. There's things I've introduced to try to avoid falling into negatives thoughts such as running, listening to podcasts (especially when falling asleep or the mrs is away for a night), playing with my dog and just making/watching films. Thank you for sharing this. I think it's HIGHLY important people understand!